Global warming is a term that many groups of people are concerned about. 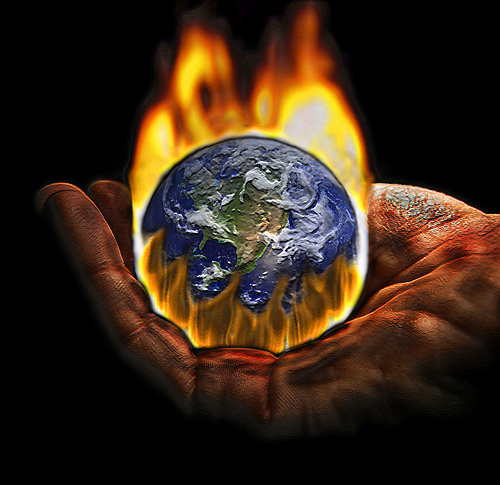 Global warming refers to the warming of the Earth’s temperature and the effects of it. No one has proved for sure that global warming is actually occurring; however, the evidence continues to agree that it is definitely taking place. The problem with global warming is that the entire Earth is affected by this. Global warming leads to an increase in the amount of water on this planet, and has many other effects as well. Environmentalists and other groups offer suggestions to people and businesses regarding ways that they can help with this potential problem. Global warming is a term that is heard quite frequently today. It is a term that refers to the steady temperature increase on the planet Earth. This term is very closely related to a process known as the greenhouse effect. During the greenhouse effect, the Earth absorbs heat from the sun. At night some of this heat is lost because the sun is not present. Where does this heat go? This heat is lost into the atmosphere, which is made up primarily of nitrogen and oxygen. The atmosphere also contains carbon dioxide, methane and nitrous oxide. These three gases have the ability to transport the lost heat from the Earth back into the Earth. This is where the term global warming takes effect. The carbon dioxide levels in the atmosphere are on the rise and therefore the temperature of the Earth continues to increase. Since the early 1900s, experts estimate that the temperature of the Earth has risen approximately 1.5 degrees F. This information is discovered by testing various areas in the world, including oceans, glaciers and soil. To learn more about what global warming is and what is causing it, check out some of the links below. The Earth is made up of a mixture of land and water. Approximately 30% of the Earth is made up of land and the other 70% is water. Of this water, approximately 95 % to 97% is salt water. 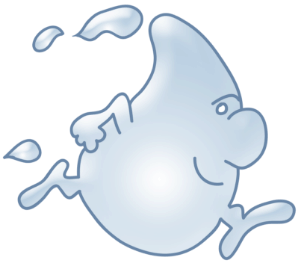 The remaining 3% to 5% is considered fresh water; although, not all of this water can be used for consumable purposes. Scientists believe that at least 2% of all of the fresh water supply on Earth is considered glacier ice, located at the North and South poles. Therefore, this fresh water cannot be used because it is too far away. Fresh water is a necessity for people. No one can live without water, and it is used for many purposes including for drinking, cooking and bathing. How does Climate Change affect our Freshwater Supply? Experts believe that global warming has numerous negative effects on the freshwater supply on the Earth. Part of this theory rests on the presumption that as the Earth’s temperature rises, more rain will fall and snow will melt faster. This can cause flooding and it can have effects on many other things. Farmers are concerned because the increase in rain could be detrimental to their crop growth. It can also have a direct effect on the ecosystems on this planet. There are many animals that rely on the cold temperatures to survive. With an increase in temperatures, the ocean and lake levels will rise, and this can affect many different animals. If flooding occurs on this earth, contaminated water can mix with fresh water. This can happen when sewer systems become too full and can also happen when bodies of salt water leak onto land. All of this can lead to a decline in the amount and quality of fresh water that is available. There are many steps that people can take to prevent global warming from occurring and to protect the fresh water on our planet. One key way to protect our fresh water supply is to conserve water usage. This is a good habit to get into and is very easy to do. Some ways to do this is to limit the time you shower. Spend 3 minutes showering instead of 10 and you can make a big difference. You can also reduce the amount of water you use for your yard or garden. People can also help with this matter by finding ways to be more energy efficient. There are many ways to accomplish this. One way is to find alternative energy types, such as solar power. Solar power is a natural energy type and can be used for many things and it will not pollute the earth or have negative effects on the fresh water supply. Carpooling and recycling are also both great options to help take a stand against global warming.